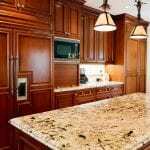 There are a wide variety of options when it comes to the kind of material you will use for your kitchen countertops. 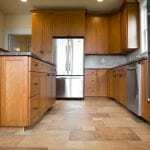 If you are installing them in your primary residence, you may want to spend the extra money to ensure that the counter tops will last for many years. If you’re installing them in a rental unit you may not want to go as expensive as you would in your own home unless the more expensive counter tops complement the rest of the rental unit. Also, if you are doing the installation yourself, different materials require different levels of skill and different tools, so you may want to take that into consideration as well. In the following paragraphs, we’ll explore some of the choices you have when it comes to installing new kitchen counter tops. 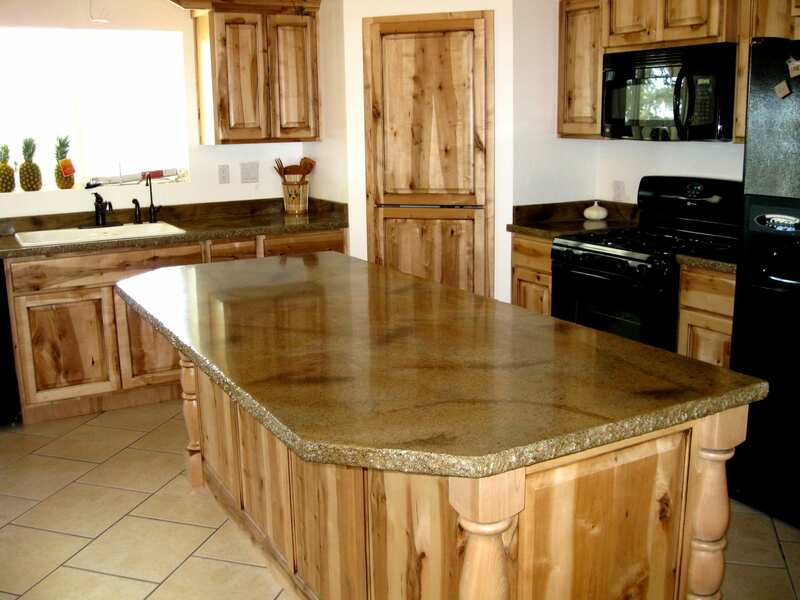 Granite is one of the most popular kitchen counter tops. You can also choose whether you will install a full slab granite counter top or opt for granite tiles, which are easier to install yet still gives you the rich look of a natural stone counter top. While granite counter-tops are ultra-strong and durable, they are not moisture proof, so you will need to take care not to let liquid seep through the surface. 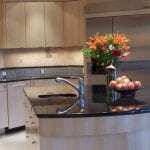 Granite kitchen counter-tops are easy to care for and will last for many years if properly cared for. 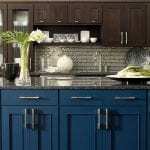 Laminate kitchen countertops are a popular choice for many do-it-yourselves because they are easy to install and are far more affordable than many of the natural stone countertops. They come in a variety of colours and finishes and are stain resistant. They do not stand up well to heat, so you will need to use a trivet or pot holder before placing hot pans or dishes on the counter-top. They are an attractive option, and although laminate kitchen counter-tops will not last forever, with proper care they will last for several years and are easy to replace when needed. 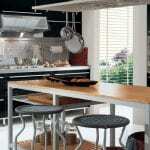 For do-it-yourselves that like to work with wood, wood countertops are an appealing option. Since prices vary among the various hardwoods, you should be able to find the wood to make your kitchen countertop and stay within your budget as well. Wood countertops will last a lifetime if properly cared for and are resistant to bacteria. Popular choices include oak, maple, mahogany, walnut, and cherry. While wood countertops offer a strong and durable solution to any kitchen, as with many kitchen countertops, extreme heat can mar the surface, so care will need to be taken to preserve the beauty of your new wood countertops.